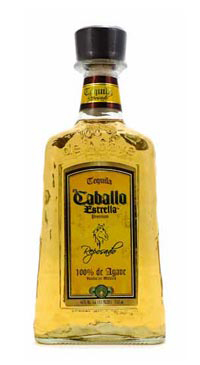 El Caballo Estrella Tequila Reposado is 100% Agave and rests in oak whiskey barrels from Europe for over 4-6 months. This is an easy drinking tequila. It has slightly earthy agave, vanilla, leather and spice aromas. Light and smooth on the palate with sweet agave and vanilla primary flavours along with light wood and baking spice; not overly complex, but still interesting. Short and smooth finish. This tequila offers excellent value. Sip it or mix it and enjoy!